It has become a Saturday ritual lately to clean out the fridge and try to use up what's left. It's no secret that money is tight - Not just in our household but in everyone's these days. It is becoming increasingly harder to make ends meet so I try not to waste anything. I am blessed to own a Thermomix and even more blessed that it makes life so much easier ! Making stocks, sauces and jams is a breeze in this machine. 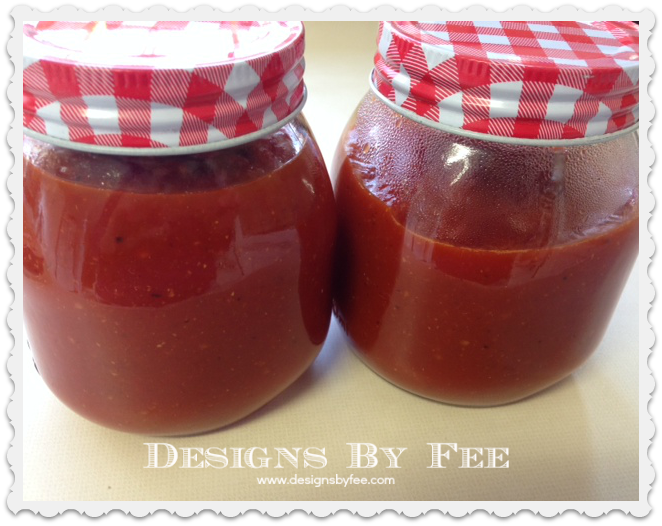 I always make my own tomato ketchup now and use it as a recipe base in almost everything that has a tomato flavour. Tomatoes are cheap at the moment so I am buying a kilo or so every week as Mr Fee loves them on toast or in a sandwich. 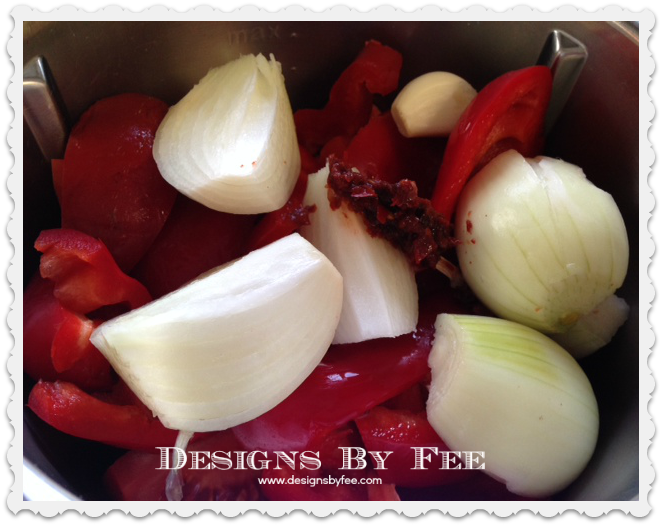 This week I had almost 1 kilogram left over along with some capsicum and onions so Tomato Ketchup it was ! With the addition of some spices, a little brown sugar and some mustard I now have 500ml of delicious ketchup. We also had some raspberries bought locally that were going to spoil if not used so I decided on some raspberry jam. I am almost out of my last batch so it was quiet timely. I now have 4 jars of fresh jam ! It feels good to not be wasting any food and even better that everything is made from fresh ingredients and not processed in a factory. 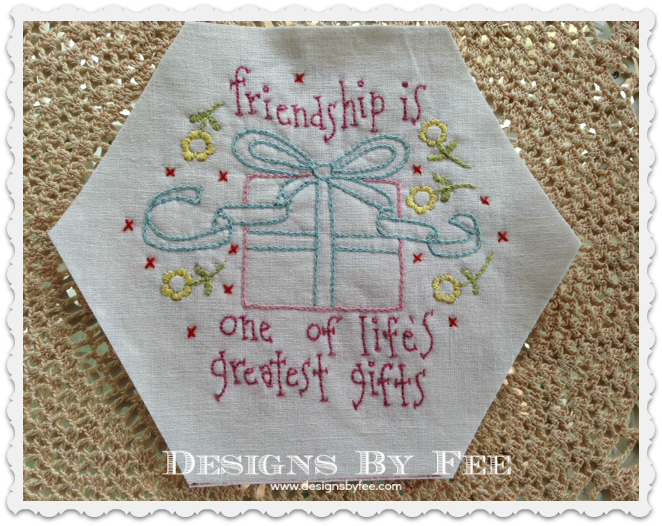 I've been stitching away a little bit each day on some different projects including another block in the Best Friends Forever BOM. Thanks so much for your lovely comments about my progress this week. It really is a sweet little project that I am enjoying very much. I am pleased that I have another block finished for January. I set myself a mental challenge of 4 for the month so I have just 1 to go - I wonder if I will get it done? Another little personal challenge was that I wanted to do more for others this year. Not for any reason other than the fact that it makes me feel good and I like the thought of putting a smile on someone's face. 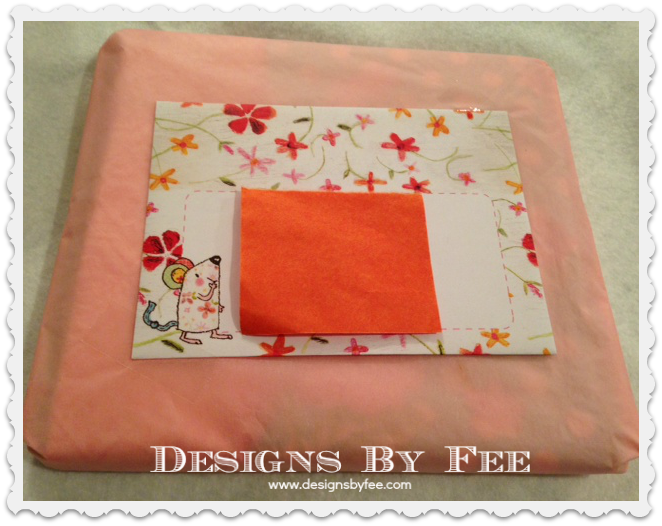 I recently sent this little parcel off to one of my blog readers - Peg. She tells me that she had an awful week only to arrive home to my parcel on the Friday which made her day. It made me feel wonderful that I was able to put a ray of sunshine into her day. I want to send 1 parcel off per month if I can to a blog reader. You never know you just might come home one day and find a little "Just Because" gift there from my heart to yours. Not only are you a stunning stitcher and crafter, your cooking skills are amazing and you are an inspiration to us other women out here in the blog world. You have a very generous heart and just sharing your life with us is amazing so thank you. Your blogs inspire me be a better person and to create, create and share my creations with others. Thanks. What a kind thing to do, send out a package to someone else. Your blog is an inspiration to me and many others. 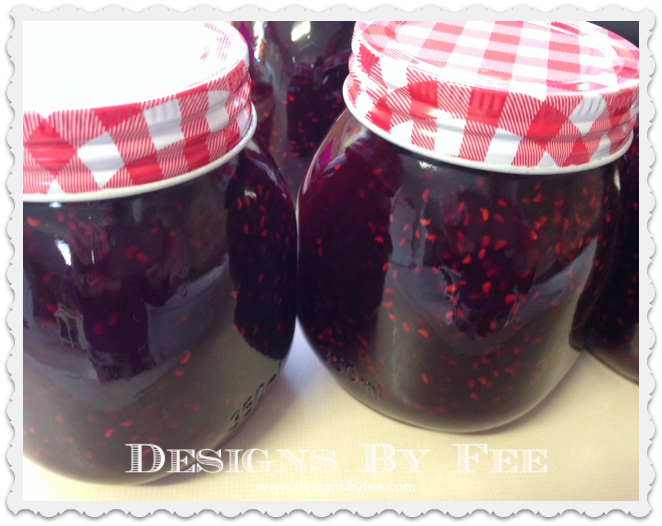 It is not the time of year for making jam here but I always love the feeling of accomplishment when I do make it and of course homemade jam is the best. 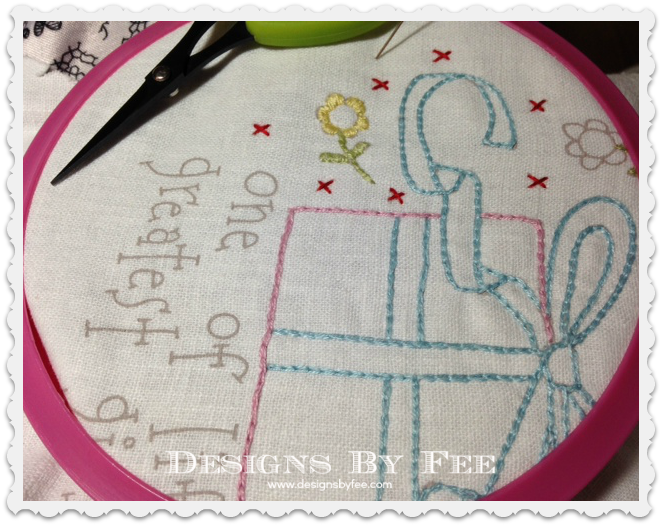 Your stitching looks lovely Fee. I'm sure you will get that last one finished for this month's goal. How nice it must be to go to your cupboard and pick out jars of homemade goodness. You are so right Fee, you can't beat beautiful home made produce and everything is becoming so much more expensive to buy. Your gift idea was one that I had thought about also for this year, just a R.A.K occasionally does make someones day.